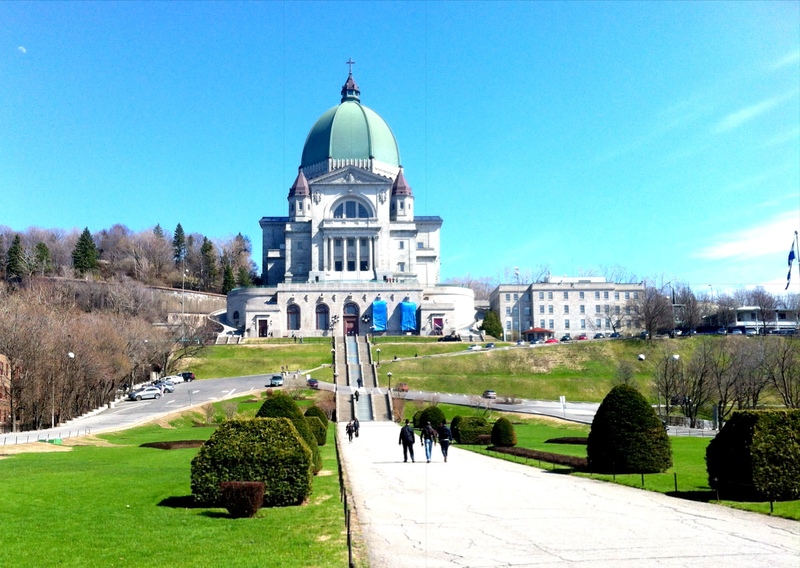 St. Joseph's Oratory. Photo Kim Hachey. A little background info about this first item from my list: I always knew about this basilica in a vague, abstract kind of way, but it was only a couple of years ago that I realized just how impressive it actually is. I was about to walk into the Pharmaprix that’s right across the street when I looked up and saw this massive, overwhelming structure. It took my breath away, quite literally. I couldn’t believe how close I was to it or how high it was. I told myself that I would, when I had a day off, come back and walk all the way up the steps to the very top. St. Joseph’s Oratory. Photo Kim Hachey. Today was a warm, sunny day. Not too hot and not too cold; perfect for walking up a couple hundred steps and admiring the view. The first thing I noticed when I arrived on the property was the number of tourists and people taking pictures. I could totally relate to them; I’m not even a tourist and yet there I was, snapping shots every few feet, trying to capture the beauty and immensity of what I was looking at. The second thing I noticed were the surroundings; it is quite charming around the church, with lots of green space and sculptures. I can easily imagine flowers blooming here and there during the summer season. 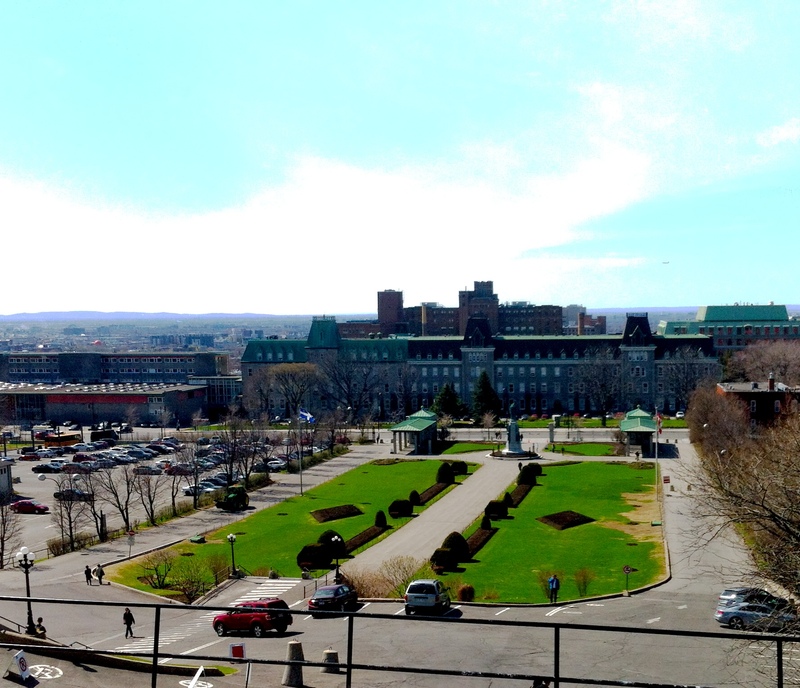 St. Joseph’s Oratory View. Photo Kim Hachey. After I took my first step I started counting, wanting to know how many stairs there were. I lost count after about 85, but I can guess that it adds up to more than two hundred. I got quite a little workout out of it, which was unexpected but welcomed (it’s been a not-so-active winter, to say the least). With each new flight of stairs I turned around to admire the view, take some pictures, and breathe in the fresh air, which sounds cheesy but the air did seem to be more abundant and pure up there. A little over half way up, a huge balcony gives visitors a chance to catch their breath and admire the horizon. It really was impressive to look at. 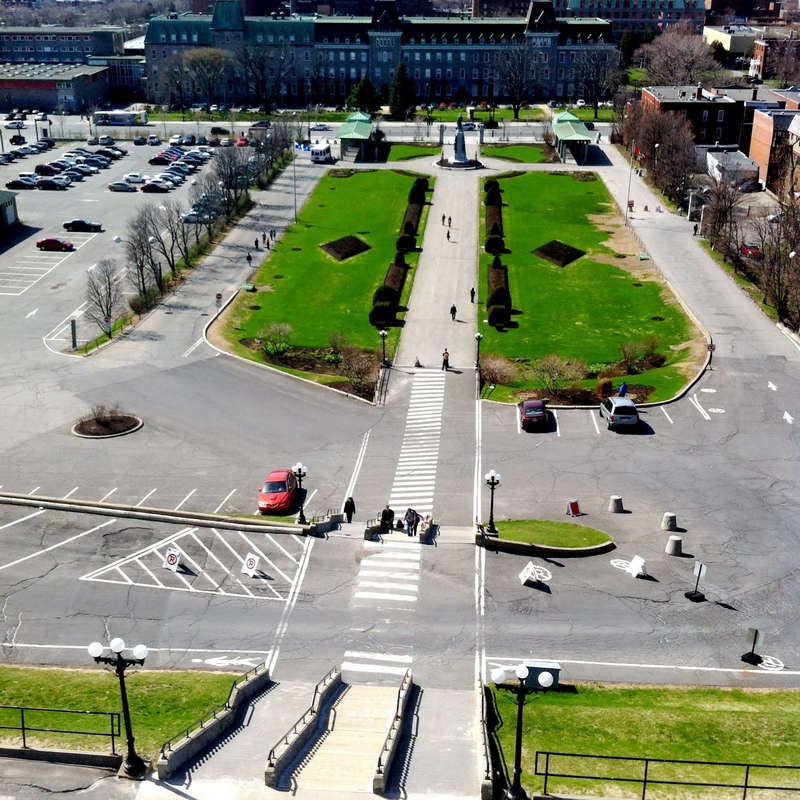 I felt like I could see the whole world, or at least the whole island of Montreal. The feeling intensified once I reached the very top, and I took a moment to sit down and enjoy the moment. I reluctantly walked back down, but not without feeling happy and satisfied about my little visit. I thought Saint Joseph’s Oratory was impressive from down below, but it is just as impressive, if not more, when looking out from above. A truly wonderful experience, to enjoy on a warm spring day! 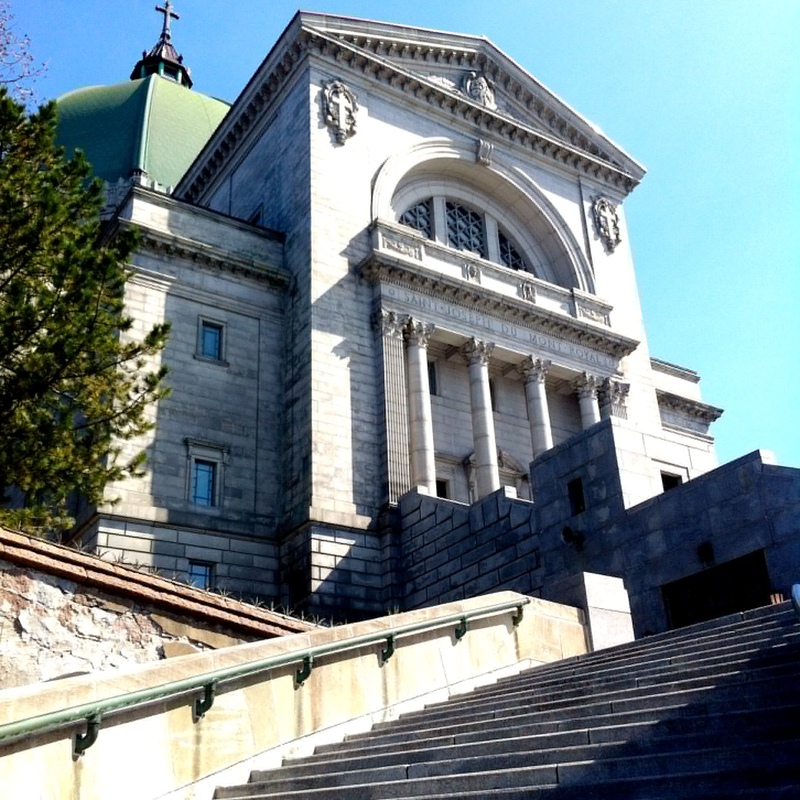 St. Joseph’s Oratory (3800 Chemin Queen Mary) is located near the Snowdon/Côte des Neiges Metro. The garden high up on the east side is beautiful too!